Forthright: A Survey Company That Values Your Opinion? Today, the Internet abounds with consumer survey and panel sites, and they all claim to value your opinion or at least enough to pay you well. The sad fact is that not all of them live up to these claims. However, this is not always a conscious design because sometimes, it’s just that a site is not well designed or does not carry enough surveys to keep its users happy. With that said, we’re going to take a look at one of the newer sites out there, which goes by the name of Forthright. We will review their site and operation, discuss some things we liked as well as some things that could be improved. Only then, when you have all the evidence, will you know if this is a survey company that really does value your opinion and if it is worth your time. Forthright was only founded in 2016, but since then, they have managed to build a loyal and ever-growing fan base of devoted survey takers. One of the stand out building blocks upon which their success has been built is their desire to make the whole process as easy as possible. To that end, they have built a user-friendly, very intuitive website as well as employed a few other straightforward features and ideas. As we mentioned, Forthright have built a website that both looks great and is simple to use, which is why you’ll have no problem navigating it. Likewise, it works fine on cell phones and tablets for an added sense of mobility. One of the things that Forthright do to make the whole process that bit simpler is the fact that while you are required to set up an account, you don’t actually have to use it. Instead, once your e-mail is verified (a simple one-step process), you can, if you want, never log into your account again. Instead, your invitation e-mail to each survey as they come up will clearly state the financial reward for completion and, once the survey closes, you will be paid automatically. Or, you can bank the money and choose to be paid later. This represents a level of personalization that you simply don’t see with many other companies. There are also some product testing surveys and video surveys but the main bulk of work here is in the form of standard, online surveys. They are never very long, which is usually around 20 minutes average complete time, and it will pay you between $1 and $5 a pop. With so many rival companies paying either only in cash or vouchers, this is another example of excellent personalization. There is also an excellent little loyalty payment of $2 per three completed or aborted surveys. Yes, it’s not the biggest amount of money in the world, but it’s still a nice touch from Forthright, which is essentially a little “thank you” for sticking around. In some ways, Forthright is very similar to its rivals. After all, it’s only offering standard online surveys. On the other hand, its dedication to customers is outstanding. They really do go out of their way to make the process as quick and easy as possible, mainly through the easy to navigate website as well as the simple payment methods and straightforward process wherein you just register your e-mail and away you go. Also, answering surveys is not just ticking boxes that help to keep things a little more interesting. With all surveys formatted to be able to be completed on a cellphone or tablet, you can complete surveys anywhere, anytime. The website’s transparency is also impeccable, which means that with every e-mail invite you receive, they clearly state what the financial reward will be. Although not relying on your account for information is a great thing, it can also a bit of a pain, and is pretty much the main drawback of this site. It means that every survey has to start with a series of screening e-mails to assess your viability for the survey. This can be a bit of a time waster, but even if you are rejected, the survey still adds to your loyalty bonus (3x rejected surveys earns $2) that barely sweetens the pill. Payment is also pretty low, at about $1 to $5 per completed survey, but more in-depth surveys will generate higher rewards. Additionally, there are plenty of opportunities to rack up a fair bit of pocket money here since they have a plentiful supply of surveys available all year round. Like we said, at face value, there is not too much to separate Forthright from its rivals, as it’s just a simple online survey site. It is the level of care they put into the overall experience that helps them stand out. This is also not another money gouging site that is dedicated to farming your details or getting your valuable opinion on the cheap. Instead, they seem to really care both about you as a customer as well as your overall experience. 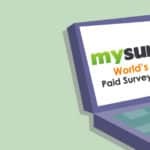 They may not pay the highest rates compared to some other sites, but there are plenty of surveys to take here, so quantity does outweigh quality to a certain extent. Forthright is very much a legit company and you can sign up with no fears. As we’ve emphasized, they will not be paying the kind of fees that will let you put a down payment on that Ferrari any time soon, but they are an overall ethical company that really seems to care about its customers. Additionally, while fees are low, opportunities are plenty.